This post originally appeared on Flight Centre Australia's blog. Ah, Cape Town. The Rainbow City. Home of the World Cup 2010. A fine city to wear your stretchy pants. 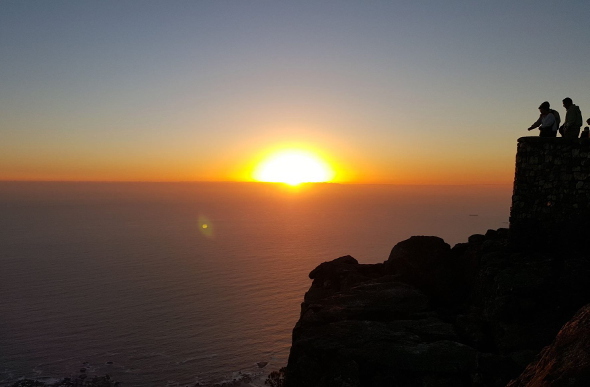 Considered one of the most beautiful destinations in the world, Cape Town is a paradise for adventure seekers and culinary queens and kings alike. Along with pinch-me experiences, Cape Town serves up a hearty helping of feed-me moments. 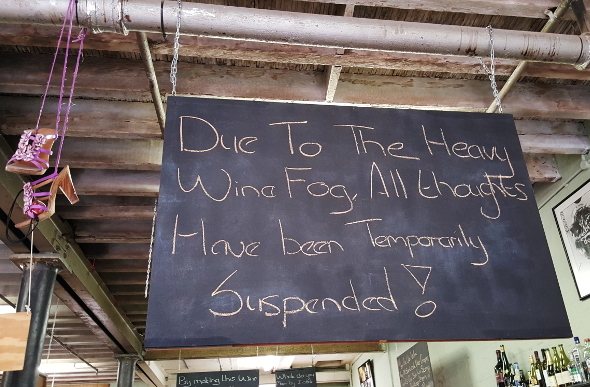 I ate and drank my way through them all on a recent trip to South Africa's Mother City. Here are the highlights. We go up ze mountain, we go down ze mountain... Cape Town's looming landmark really needs no introduction. Scale the craggy cliffs if you're feeling adventurous, or do as most do, and enjoy a steady ride up in the cable car. Don't just walk on the wild side, take a bite out of it. You can't say you've experienced South Africa without feasting on local game meat. From warthog to ostrich, kudu to springbok, game is not only nutritious, lean and sustainable, but also delicious. 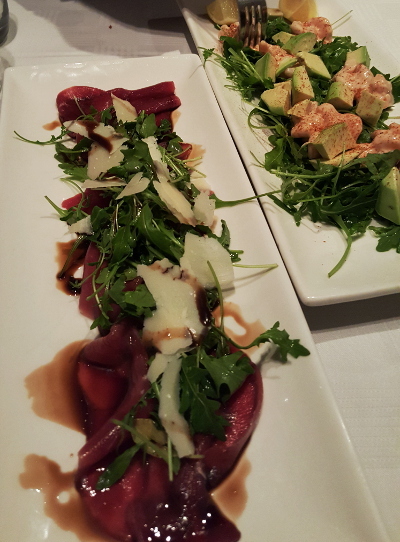 In all its variations, game is generally best served rare and carpaccio (paper-thin slices) is one of the finest ways to indulge. There are a stack of restaurants on lively Long Street to warm up your tastebuds; try Mama Africa for a full South African immersion. Think humongous platters of crocodile, springbok and ostrich, Cape Malay curries and a vibrant Marimba band that will have you dancing well into the night. If your perfect Sunday afternoon doesn't involve a butcher than you probably haven't been to Mzoli's. 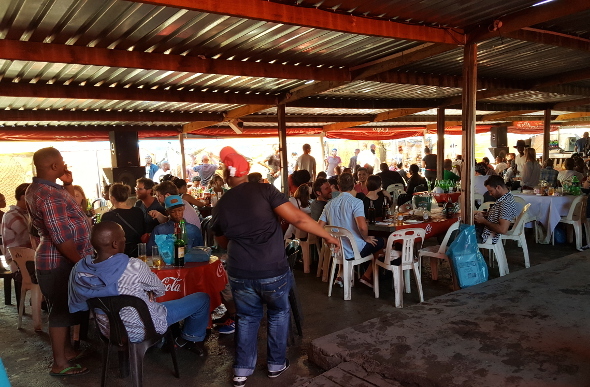 This meaty institution on the outskirts of Cape Town in Gugulethu township, is one part barbecue, one part dance party. The method is simple: choose your preferred cuts at the counter, ask for a dash of special sauce and deliver your platter to the roaring fire where it's all cooked up on the braai (barbecue). Purchase your beers and Savannahs from the entrepreneurial family homes across the street, then pull up a table and eat, drink and dance the afternoon away to the beat of thumping house tunes, accompanied by your boets (brothers). The atmosphere is absolutely electric and one you'll wish you could bottle up and take home. There's no doubt about it: South Africa is a carnivore's paradise. It's almost sacrilege to travel without some biltong or droewors (dried sausages) to snack on, and South Africa's famed dried, cured meat comes in many forms. Beef is most commonly used, but why not up your meat-eating credibility by trying kudu, ostrich and springbok biltong? 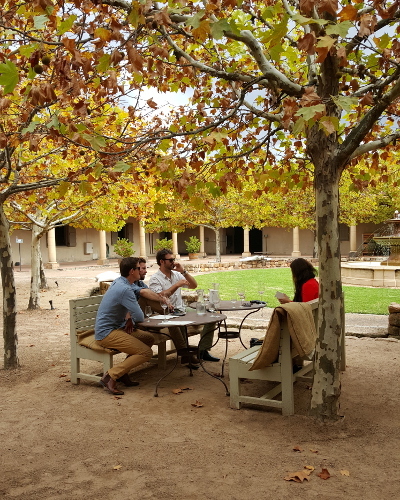 There are not enough adjectives to describe the magic that is Stellenbosch, the Western Cape's famed wine route. There are more than 200 wine and grape producers, not to mention the region is one of the country's top foodie spots, if that's any indication of what to expect. Book a driver for the day and set off on visiting as many wineries as you can. Aim for at least four vineyards, with a stop for lunch. You can't really go wrong in your choices, but you mustn't bypass Waterford Estate; their chocolate and wine pairing is sensational and an experience you'll remember long after everything else that day becomes a winey blur. Taste the best of Cape Town with our tailor-made Journeys. Woodstock is to Cape Town what Shoreditch is to London. This suburban enclave is the epitome of new-age cool, but you certainly don't need to be the Shoreditch-type to appreciate the Old Biscuit Mill. This former factory has transformed into a welcoming village full of delis, cafés and boutique stores. On Saturdays, the mill bursts to life with the Neighbourgoods Market, an award-winning marketplace featuring plenty of artisan producers, fine-food purveyors and bars. Come for the food, stay for the ambiance and a few cocktails. If you're organised, book in advance for a table at South Africa's best restaurant, The Test Kitchen. Given its Rainbow City moniker, it's no surprise that the label extends across Cape Town cuisine. A true confluence of far-flung cultures, dishes such as bobotie, denningvleis and biryani hint at the city's global heritage. Cape Malay cuisine is arguably the city's most well-known fusion cuisine, well before fusion was considered a 'thing'. Cape Malay dishes will leave your tastebuds tingling with a heady blend of spices. 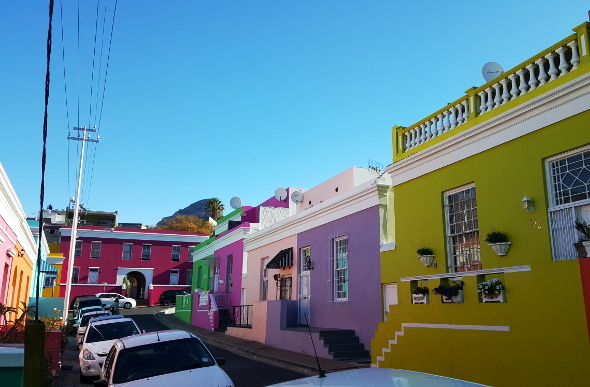 Venture to the kaleidoscopic Muslim neighbourhood of Bo-Kaap to try Cape Malay flavours at their best. Top picks include casual Biesmiellah and the fourteen-course set menu at Gold. Long Street's much trendier cousin, Bree Street, is a late-night hangout for the cool kids and beautiful people of Cape Town. Hop your way through wine bars and beer gardens, but ensure you stop at 'specialist cocktail club', Orphanage. 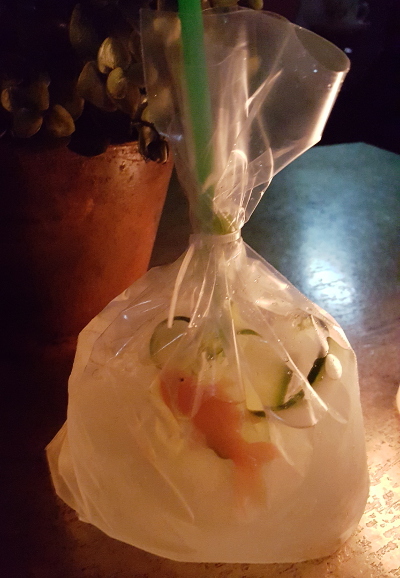 Known for its inventive potions, you must try their tea-cup concotions, as well as the gin and tonic inspired cocktail in a bag – complete with (plastic) goldfish. Give me street food over Michelin stars, cellar doors over wine bars and small towns and wide open spaces over big cities any day. Travel for me means ticking off the 'to eat and drink' list one regional flavour and wine bottle at a time.